Nicholas DeNichilo Is a native New Jerseyan and resides in Scotch Plains, NJ. He received his BSCE in 1973 from NCE and his MSCE in 1978 from NJIT. He is a licensed Professional Engineer in seven states and the District of Columbia and a member of numerous engineering societies including ASCE, APWA, WEF, DBIA, and AWWA. In 1998 he was elected Chair of the New Jersey Section of the American Water Works Asso¬ciation. In 1998 he was appointed President of Killam Associates, a major environmental and civil engi¬neering firm headquartered in Millburn New Jersey. In 1999 the New Jersey Section of the American Society of Civil Engineers selected Nick as the Engineer of the Year. In 2001, he was appointed President and COO of Hatch Mott MacDonald, I & E. In 2003 the New Jersey Section of the American Water Works Association awarded Nick the George Warren Fuller Award for his distinguished Professional and Volunteer service in the water field. In June 2005, the NJIT Alumni Association presented Nick with the Association’s Distinguished Alumni Achievement Award. In November 2008 the Central New Jersey Council of the Boy Scouts of America presented Nick with the 2008 construction industry Good Scout Award. In March 2009, he was appointed to the American Society of Engineers (ASCE) Industry Leaders Council. In October, 2009, he was appointed to the New Jersey Institute of Technology, Board of Overseers. Currently he is President and CEO of Hatch Mott MacDonald a full service infrastructure, trans¬portation and environmental engineering company. The Hatch Mott MacDonald Group is a North American firm with a staff of 1,900 and 59 offices throughout the US and Canada. 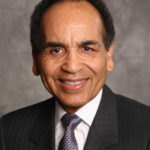 He is an active member of the Newark College of Engineering (NCE) Board of Visitors. Served as Chairman from 2006 – 2009.